Footwear has been considered a necessity throughout history and examples have been recovered from archaeological sites worldwide. We have found 11 remnants of footwear from Queen Anne's Revenge: 10 shoe buckle fragments and a leather fragment with wooden pegs believed to be associated with a stacked-heel leather shoe. Although shoes are well documented in the archaeological and historical record, some of the individual components of shoes are not always recorded, leading to difficulties identifying the QAR leather fragment. The QAR fragment does not exactly match fragments illustrated in contemporary texts nor those recovered from contemporary sites, but there are a few parallels. 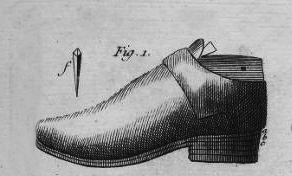 In the 17th century, shoe heels regularly appeared in the common form of a stacked heel comprised of layers of leather connected by wooden pegs driven through the layers. This addition to footwear evolved from its purpose of preventing wear on the sole of the shoe to becoming a fashion statement. The leather layers, or lifts, would be individually cut from strong leather and softened then attached to one another, creating a stack. One possibility is that the piece, seemingly too long for the heel stack, was part of the insole structure of the shoe. The pattern of degradation on the flat end is similar to shoe fragments recovered from other shipwrecks, however, none of those examples contain wooden pegs similar to the QAR fragment. 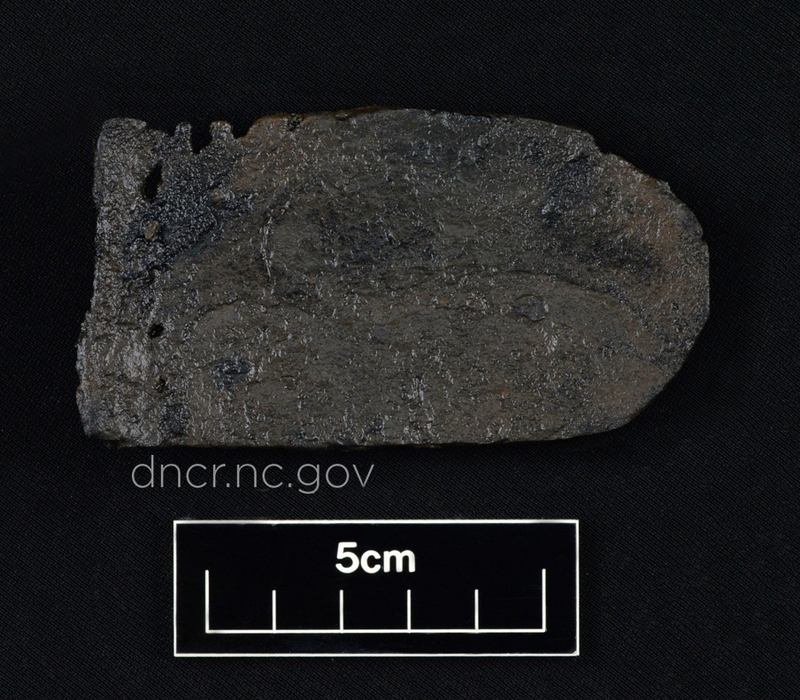 The second and more likely possibility is that the artifact was a reinforcement piece between the sole of the shoe and the heel stack. While not discussed in some primary documents, they appear frequently in contemporary shipwreck excavations. These shoe heel pieces would have been longer than a heel stack, allowing for increased protection in areas vulnerable to wear. However, illustration of these have only been shown in a completed stack, not as an individual component, so it cannot yet be positively confirmed. While we may never know the owner of this shoe, we can at least understand a little bit more about what it takes to walk a mile in a pirate's shoe. -de Garsault, François-Alexandre-Pierre and D. A. Saguto. M. de Garsault's 1767 Art of the Shoemaker: An Annotated Translation. Williamsburg, VA: Colonial Williamsburg Foundation, 2009. -Goubitz, Olaf, Carol van Driel-Murray, and Willy Groenman-Van Waateringe. Stepping Through Time: Archaeological Footwear from Prehistoric Times until 1800. Zwolle: Stichting Promotie Archeologie, 2007. -Ossowski, Waldemar. The General Carleton shipwreck, 1785. Gdansk: Centralne Muzeum Morskie, 2008. -Randolph, Anthony G. The Analysis and Conservation of the Belle Footwear Assemblage. Master’s Thesis, Texas A&M University, 2003. -Leather shoe heel fragment from the QAR site. Image by NC Department of Natural and Cultural Resources. 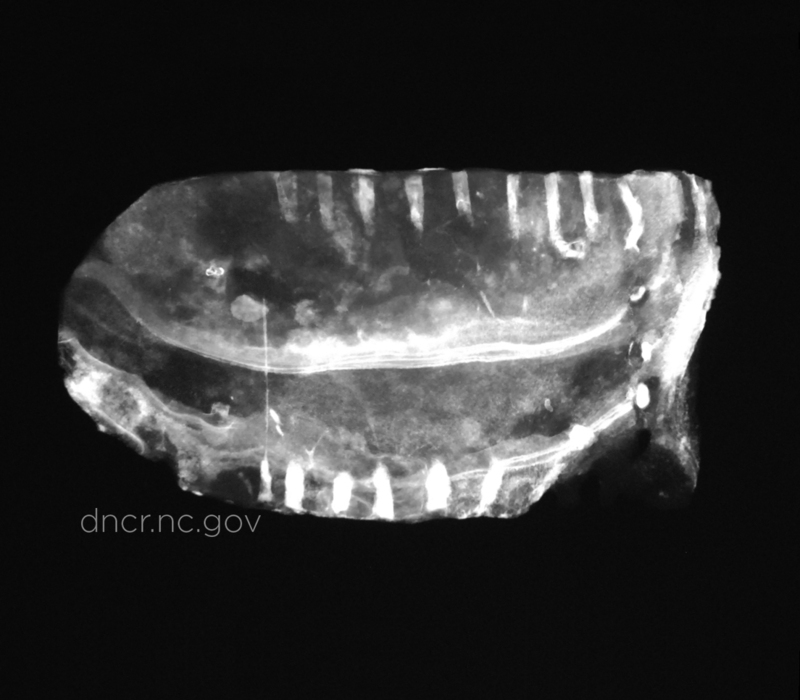 -X-ray of leather shoe fragment from the QAR site. Image by NC Department of Natural and Cultural Resources.